Wasteland 2 has been released to great acclaim, earning Game of the Year from PCWorld, and reaching #1 on the Steam sales charts. Now, the Director's Cut comes as a free PC update to all backers as our thanks for making the game happen! 61,290 backers pledged $2,933,252 to help bring this project to life. We are very happy to announce the ship date for Wasteland 2: the game will be coming to you at the end of August of this year! Before saying anything else, I want to first and foremost again thank you, our backers. Without you I'd never be where I am today, just a few months removed from finally releasing the game I've been wanting to make for 25 years. It's exciting to be in this home stretch, and all your support and feedback throughout the process has made the game much better than it would have been otherwise. What we're releasing is a game of much greater scope than we ever dreamed of when starting our Kickstarter. More features, more areas, more reactivity, more words, all thanks to you for funding our game and for giving us the time needed to finish it. My goal has been to over deliver on your expectations for Wasteland 2. 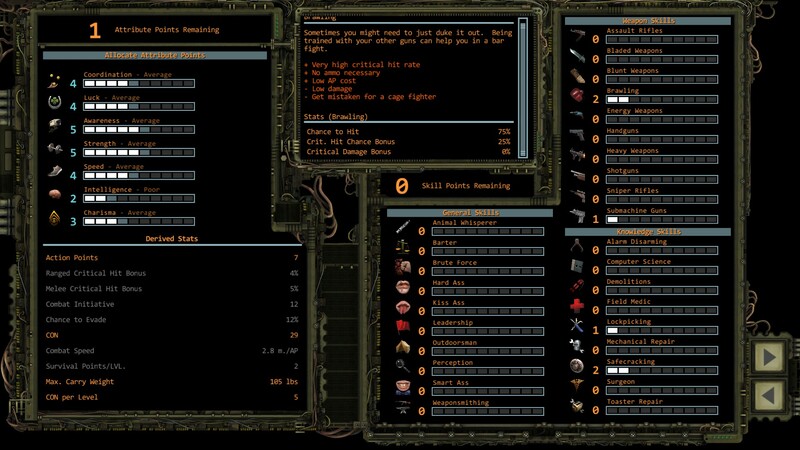 We also just released another big update to the Wasteland 2 beta (full notes on our tumblr). This update adds the final major area of Arizona, meaning the Wasteland 2 beta now includes all Arizona maps, which is approximately half the entire game! At this stage we're internally feature complete, but not feature locked. What that means is that every feature is in our dev builds but we're still testing functionality, gameplay balance impact and even quality. If a feature is not good enough, we'll cut it, but if fan feedback and internal review indicates it's vital, we'll double down on it. But the main focus for the new few months lies with balancing, optimizing and of course mercilessly hunting down bugs. But we are not yet in full lock-down, it is important for us to stay flexible for iterations as we keep learning from the backer beta. For instance, we'll be tweaking the skill usage density and variety our game levels, and adding some smaller lines and skill-paths. Combat balance is something else we'll be spending a lot of time on in the next months, as it still needs much fine-tuning. Localization is another major step and we can do with more help on that, see more below. In other words, these next few months won't be idle months! One of the changes going into this beta build are the new character creation screens, crafted with the help of feedback from the community. I'll be at the MCM London Comic Con, taking the main stage on 3PM UTC/8AM PST on Saturday May 24th. I'll be talking about the game but also premiering the game's opening cinematic. We knew we shouldn't spend too much cash, so I got a little creative and took my camera to the Wasteland Weekend. Using that footage, stock footage and some new footage shot with actors, we got an effective opening for less than $30K. The opening cinematic explains the history of the setting and the Rangers before setting up the start of our game. You'll be able to join us via live stream at this URL on Saturday. 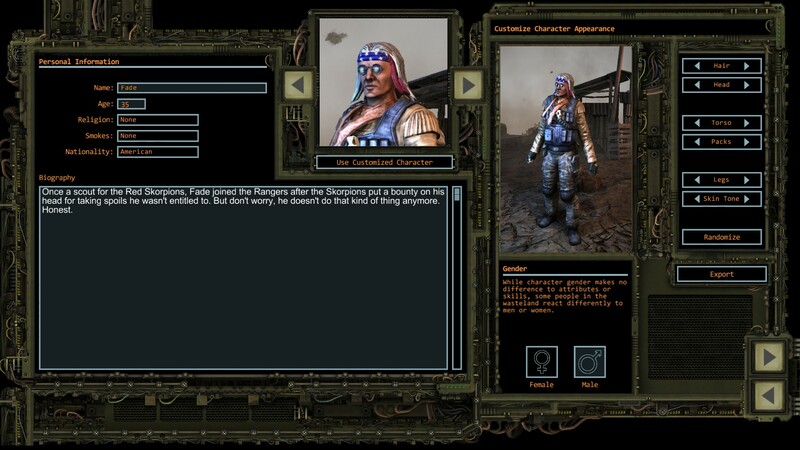 We launched the Wasteland 2 crowdsourcing localization about a week ago. The effort is off to a very good start, with the hyper-efficient Germans leading the way. We invited a few of our editors to take an early look at the translation output of our fans and they were well impressed by the quality and consistency of our crowdsourced translations. That's the value of getting real RPG Gamers involved! From here on out our editors will start becoming more active on Get Localization itself, guiding and interacting with our community. The more volunteers we have, the higher the quality of the translations. We spoke earlier on rewarding our fans, and the top translators will get selected rewards later, but to reward our productive translators, we've decided to give everyone who provides approved translation of over 250 strings a digital copy of Wasteland 2, which will include beta access (please do provide your email address when registering, as otherwise we have no way to contact you). For new fans or fans who backed at a lower tier, this will allow you to jump into the beta. For other backers, here's an extra copy to give to a friend! Plus it helps everyone to ensure our translators have access to the beta, as this'll give them more context and understanding of strings they're translating. Please note your strings do have to be reviewed and approved before you get your Steam key for Wasteland 2, not just by us but also by our existing Get Localization community. Be aware we're looking for volunteers in Spanish, French, German and Italian only. As always, we encourage using the Localization page to help spread the word. Echon, Edin Mangić, and 125 more people like this update. With being so far behind the projected 'deadline'... where is our more physical 'swag'? Just because the game isn't realized, where are the things that you not only promised... you SOLD us on that 'little' bonus. Almost 2 years ago I gave you $150; what have you given me? Nothing to justify that faith. And no, I don't wish to beta test the game for you. I should know better yet I expect better. I am loving the character creation screens. All the stats on one page plus an explanation of what each stat does. Common sense, but it's amazing how many RPG's get it wrong. 23 gigs is still way too big, and probably not justifiably so. I hope you find a way to seriously shrink it. I will actually support @Cutter. You've delayed it for almost a year, i know you're selling/rewarding/crowd-sourcing beta access, but you've promised to deliver it in Oct 2013, now it's the end of May 2014. We've been waiting for two years and still doesn't know how Wastelands 2 feels like. It would be fair to give something as a reward for patience and support: alpha, beta, demo, something to lay hands on. Eagerly waiting for August, then. Oh and if you blow this deadline I hope you know people are going to RAGE. So please god, I hope you chose a realistic one. What is Combat Shooting supposed to do? Field Stripping was combined with Weaponsmithing a couple of builds ago, so the Weaponsmithing skill now covers both breaking down weapons for parts AND using those parts to mod other weapons. Combat Shooting is still in, but its apparently a "secret" skill that will only be obtainable later in the game - and so far it hasn't appeared at all in the current beta material (although there are certainly hints at its existence). @inXile / Ethan David Knight: Oops! I have no idea why I misremembered the install size. Apparently it grew ten times in my head over the two weeks since I read that tweet. There will be portuguese localization? Release date of end August is very exciting and surprising (in a good way!) I expected more slippage so kudos to inXile. Now get to work on Torment...... kidding! I am so excited! Everything looks amazing! See you at Comic Con, Brian! I am so happy to be a part of this kickstarter - this is gaming history in the making people! w00t!!! Also I want to play the finished game, no spoilers etc., so I'll wait until the releae. But kudos to all the fans who help(ed) in the alpha, beta & localization. And kudos to Mr. Fargo and his team! @cutter. can you please drop it with the whining for free beta access. Why would you want to spoil playing the game before it's finished anyway? just wait until August it's not that long. I have beta access, i played a bit of it and then decided to leave it until it's done. It will be well worth the wait... ! that said, there was plenty of opportunity to get beta access after the kickstarter finished. If you opted not to throw in to help fund it then that was your choice. Finally, if you get free beta access then what are the rest of us going to get ? free access to any DLC they build later? think for five seconds about how hard dealing with that problem and then think what would you rather them do, spend time finishing the game properly and adding every touch of detail they can or dealing with a bunch of equally crazy people who feel like they've been ripped off because they gave you free beta access. I'm glad you guys are professionals. Too many games seem to be released without a beta period these days.. Does that include the boxed copies? Yay, Faran Brygo - we believe in you! @cutter - nope. Pay for it like the rest of us. Great now i can stop checking Kickstarter everyday for a date. End of August sounds good, can't wait. oh my oh my can't wait! Wouldn't it be a good idea to also have Korean and Japanese languages? Since their gaming market is so huge and maybe it'll convert some of the jrpg fans. I know it's harder to translate and It may not take off there but it's worth a try I think. Oh wow, I was expecting the end of the year at best. Personally I've been waiting on something like this ever since the Fallout franchise went FPS and was ruined by Bethesda, grats on following through with your 25 year dream guys. Can't wait to play the completed version, and to watch this one be the new poster child and example of what can be done through Kickstarter. Glad to finally get to play with this. Sadly didn't make it into the beta, so this'll be my first time seeing any of it. @Gillsing Not quite that crazy: the current (not final) footprint is 23GB, not 223. So excited to play it! Good to know by which time I'll need my new computer. I read something about a 223 GB 'footprint'? Hah! And here I thought that a 1 TB drive would be plenty. I suppose this means that a SSD will be a necessity too, now that games need to load so many GBs of data? This is going to cost me. Really looking forward to it. It's been two years now, gotta be patient for just a bit. That's one huge list of updates. It feel amazing to be part of the project to make this happen. Thank you, Brian & team. Amazing news, seems like a lifetime of waiting but its going to be worth it! Feel free to adjust for use as a phone wallpaper. Can't wait. Been avoiding the Beta because I want to play through the finished product. Think we could get the artwork on the book as some type of phone and/or pc wallpaper? That seems like an awesome painting. The end of summer cannot be any better than this! I am for one who care less about having a beta version. A full complete awesome game is what matters in the end. Thank you, thank you, thank you. >> Without you I'd never be where I am today, just a few months removed from finally releasing the game I've been wanting to make for 25 years. Man it would be great if after all these months of cutting-edge developing and sneak-peek of 4K screens and beta testing of in-game situations they released a DOS game with 25-years-back graphics, complete with a text parser and 8-letter names of characters, then let the people savor the joke for a few days until the point people realize that's the real thing and the complaining becomes unbearable, only then releasing the Windows 3D game with all the trimmings. Man, that would be awesome. 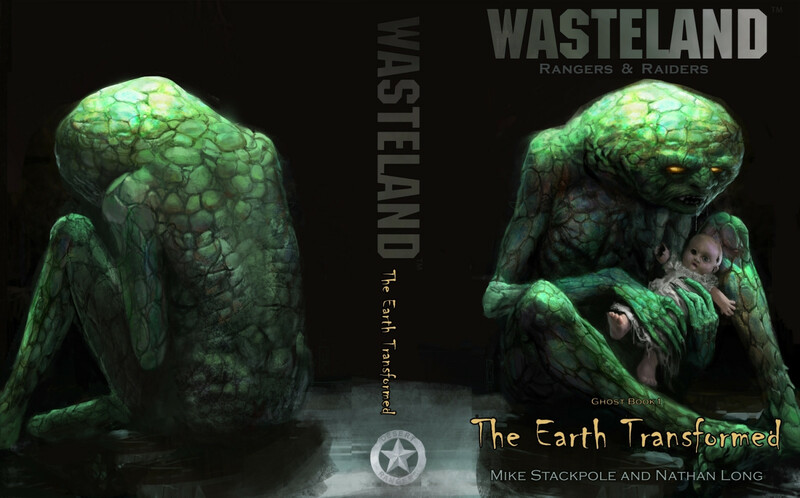 Wasteland 2 is the very FIRST Kickstarter Project I have ever backed. It'll be nice to finally get my hands on the finished game.